ISB benefits from its location in Beijing, China's ever-evolving capital and cultural center. As one of the world's great ancient capitals, Beijing is a vibrant modern city where tradition embraces modernity. 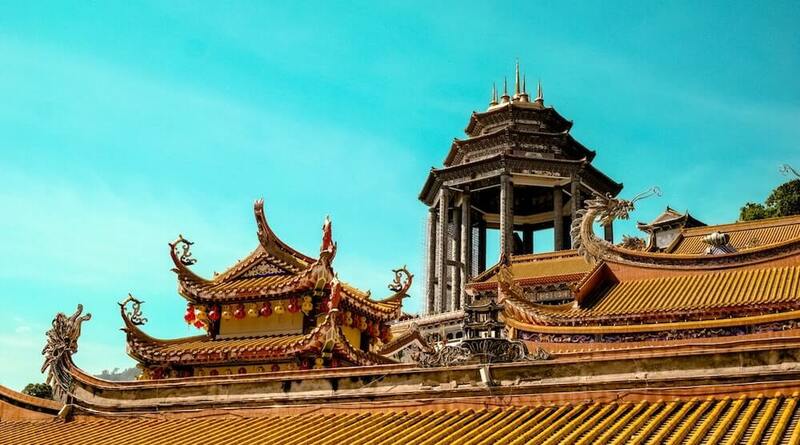 Ancient palace complexes stand side-by-side the city's impressive skylines. Fast-food restaurants and luxury outlets share the urban landscape with street hawkers and people practicing tai chi in parks. Bicycles and tricycles jostle with SUVs and trucks on the city's ringed roads. Living in Beijing provides intimate insight into China's great transformation and rise in the 21st century as the world's second largest economy and influential global power. ISB is conveniently located among one of Beijing's most popular expat neighborhoods in the city's northeast Shunyi District. Parks, international medical clinics and supermarkets stocked with imported groceries are all just a short stroll away. While the local area has developed considerably since ISB established its campus there more than a decade ago, it still retains its quaint charm that makes it a great place to live for singles, couples and families. However, newcomers can still expect to experience a culture shock when adjusting to life in Beijing. The language, culture and weather are all unique, but with a positive attitude and flexibility you can progress from merely adapting to enjoying your new home. 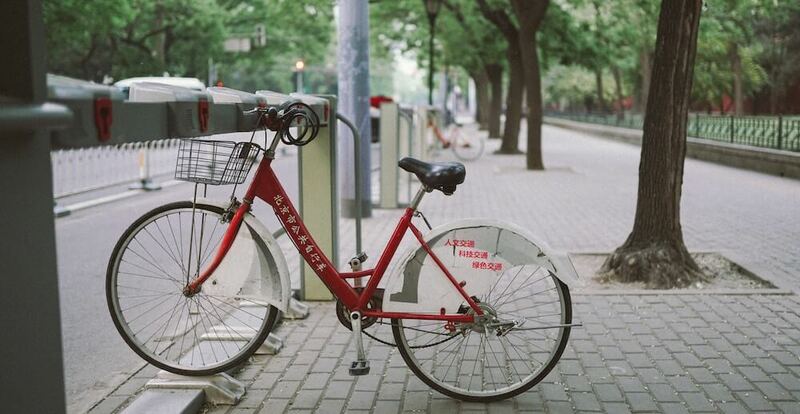 Despite its status as a huge metropolis, Beijing has an overall low crime rate and considerably safer than other global cities of comparable size. A thriving and diverse arts and cultural scene complements a network of museums and galleries, international art fairs and performances by internationally renowned actors and musicians, all of which make living in Beijing a rich and rewarding experience. Nestled in Beijing's traditional alleys, or hutongs, are trendy little bars, cafes and music venues that provide a glimpse of the city's cosmopolitan appeal. A key concern for many families considering relocating to Beijing is the city's air quality. The government is making a concerted effort to improve air quality by adopting stricter environmental policies, imposing traffic restrictions and pivoting toward a cleaner energy mix, but as a developing country pollution poses an ongoing challenge. ISB's school-wide air-filtration system ensures we have purified air in all indoor areas, including our two domes, to nurture students' academic and physical well-being. The school also has a comprehensive air quality management policy that keeps our school community informed around the clock about the local air quality index and provides standards concerning outdoor activities. You can read more about our policy and how it applies to students of different divisions here. Want the entire ISB guide to living in Beijing? Beijing lies at about the same latitude as Madrid and New York. It is situated 1,500 kilometers (about 1,000 miles) north of China's largest city, Shanghai. Beijing’s climate is temperate, with humid summers and dry winters. The strong Siberian winds and occasional snow can make winters bone-chillingly cold. Although giant strides have been made in improving the environment, local air quality can be poor in winter. Spring and fall are among Beijing’s most pleasant seasons, with beautiful foliage and clear blue skies defining characteristics. Longtime Beijing residents note that the city has been transformed in recent years due to rapid urbanization. There are times when this thriving capital shows the price of such incredible growth. Traffic can test your patience and air quality can deteriorate for days at a time. Of course, there are ways to mitigate these challenges; air purifiers at home and an efficient public transport network, for example. However, there are some challenges beyond individual control that require patience and understanding to be expected in a developing country. Nevertheless, many expats stay in Beijing for three to five years (and sometimes longer). Their passion for the city and its lifestyle is a testament to the many charms of the Chinese capital. A domestic helper in China is called an ayi, literally “aunty” in Chinese. Many families employ an ayi either part-time or full-time, to help with housework, childcare, shopping etc. You can often find an ayi through personal recommendations. There are also companies that help ayis to find jobs with suitable families. Check the classifieds page on Dragons’ Gate (the ISB online handbook) to see if any leaving families recommend their ayi. As with any negotiation, it will be helpful to both you and any prospective ayis to have a translator present. That way you can be sure you all agree on work conditions, responsibilities and tasks, salary etc. It is standard for ayis and drivers to be given public holidays; some families give extra days in addition to the official days. You will be expected to pay your ayi in full even if you are traveling during a holiday. It is also standard to pay double salary at Chinese New Year. In addition, some families also offer for their ayis to shower and do their own laundry at their employer’s home. This is because some ayis live in houses or villages without running water. Some compounds have utilities cards that must be topped up periodically. Check your meters regularly to prevent waking up to no heat, hot water, or electricity! Your management office and/or sponsoring organization should be able to help you learn how to recharge cards. Your landlord may have agreed to pay for some of these items. It is important to understand who is responsible for payment and how to make the payment. Your relocation company is a good resource for information on these matters. Cellphone service is available from a variety of providers. Most people use the mobile app WeChat (see below) to top-up their phone credit. The main phone companies are China Mobile and China Unicom, both of which provide various payment plans. Skype and FaceTime are popular and economical means to make international long distance calls. China’s official currency is the renminbi (RMB), literally “the people’s money.” Colloquially, you will also hear the currency referred to as “yuan” or “kuai.” Paper money comes in denominations of 100, 50, 20, 10, 5, 1, 0.50, 0.10 yuan. The bronze coins are 5 “jiao” (aka “mao”) or 50 “fen,” while the small aluminum coins are 1 “jiao” (aka “mao”) or 10 “fen”. Finally, the light thin coins are 5, 2, 1 “fen” and decrease in size. 1 RMB = 1 “yuan” (aka “kuai”) = 10 “jiao” (aka “mao”) = 100 “fen”. Although it sounds confusing, rest assured you will soon figure it out! At the time of writing, $1USD is approximately 6.5 RMB. The XE mobile app is a useful tool for calculating currency conversions. Some merchants in Beijing do not accept credit cards, so be sure to check prior to making purchases. Popular payment methods are cash, UnionPay, and, increasingly, WeChat. There are various options available for local banking. Be aware of the rules, regulations, and fees regarding account limits, withdrawal limits, and sources of funds. Most overseas ATM cards incur a fee (US$2-4) per transaction. In addition, your overseas bank may limit your daily withdrawal or charge you a fee for currency conversion. You may be able to open a local bank account that waives fees when you use your local ATM card. The daily withdrawal limit is most often 20,000 RMB (approx.$3,000 USD). It is best to inquire about this with your sponsoring organization. ISB: Lower Gallery; China Construction Bank. Pinnacle Plaza: Inside Lo Hao City organic supermarket; HSBC. Europlaza: Facing the Exhibition Center; Bank of China. Outside of River Garden: On the street-facing side of the clubhouse; China Construction Bank. Yosemite C Gate: Bank of China. Crowne Plaza Hotel lobby: Bank of China. Tian Zhu Plaza: On Tianbei Road east of Jingshun Lu, in the shopping center with Jing Ke Long Supermarket; Bank of China. Shine City: China Construction Bank. Please note overseas and local bank cards are accepted at all ATMs. Fees may apply. Check with your company’s human resources department to see if your company allows expatriate employees and their family members to drive. China does not recognize overseas driver’s licenses. If you have a license from your home country, you will need to take the written test to obtain a Chinese driver’s license. A practical driving test is not necessary. Companies such as ST Car Care can help you get the required medical checks, give you a study booklet (with more than 900 questions), apply for the license, and even take you to the motor vehicle authority to sit the written exam. They will charge you for this service. You will take the exam (available in many languages) on a computer system that randomly chooses 100 questions. You must score at least 90% to pass. Beijing taxis are metered. Be sure the driver uses the meter and politely decline to ride with them if he/she insists it is “broken.” Make sure you get an official receipt (fapiao) after you pay the fare. This receipt also has the number to trace the taxi in case you leave something in the vehicle. It is not advisable to take the “hei che” (literally “black car,” or unlicensed taxi) as they can be unsafe and notoriously expensive. A word of caution: some taxi drivers have been known to secretly replace a real 100 RMB bills with fake ones and make a big show of examining the money, only to claim the customer gave them a fake bill. If you pay with a 100 RMB note, make a visible effort to check the serial number. Beijing has the world’s second largest subway network (behind Shanghai), stretching nearly 600 kilometers and continuously growing. Fares are distance- based, ranging between 3 and 10 RMB (children under 1.3 meters are free). Subway Line 15 connects Shunyi to downtown Beijing, with China International Exhibition Center (opposite Europlaza) the closest station to ISB. The subway operates between 6:00 am and 10:30 pm every day. Various medical centers and dental clinics serve the needs of expatriates in Beijing. A few common ones are listed below. Beijing United Family Hospital: https://beijing.ufh.com.cn - Medical and dental services. BJU has Shunyi medical and dental clinics in Pinnacle Plaza. Their main hospital is near the Lido Hotel. International SOS/ Raffles Medical: www.internationalsos.com - Medical and Dental services. They also provide emergency evacuation if your medical situation cannot be properly treated in China. Arrail Dental: http://www.arrail-dental.com/en/ - Room 208 CITIC Building, 19 Jian Guo Men Wai Dajie. IDC-Dental: https://www.idcdentalbj.com - Rm 209, Bldg 7, Yard 9, Richmond Park Clubhouse, Fangyuan Nanli, Chaoyang District. King’s Dental: www.kingsdental.com - 118 G/F Beijing Towercrest Plaza, 3 Maizidian Xi Jie. Chinese cuisine is possibly the most varied of national cuisines. With 56 ethnic groups across China, the specialities are plentiful and the range of food diverse. Beijing hosts restaurants that offer traditional food from across China. Some highlights include spicy Sichuan Hot Pot, Yunnan style fresh mint and beef, and, of course, Peking duck. It is not, however, the same as Chinese food you find in the west. You will not come across any fortune cookies here but staples such as noodles, rice and the famous Chinese dumpling (jiǎo zi 饺子). And even with these old favorites, there is still great variety depending on the house style. Some of the best local fare can be bought very cheaply from street food vendors. One of the favorites among expatriates is the jiān bing 煎 饼 - a savory pancake cooked on a hot plate with an egg cracked inside with the option of meat, lettuce and spices. This local breakfast staple can be bought on many a street corner starting from 5 RMB (roughly 80 cents or 50 pence). In the summer time, people often sit outside and enjoy chuànr 串 儿 - Beijing style barbecue with meat and vegetable skewers. If you prefer western fare or seek variety, Beijing is teeming with restaurants serving food from across the globe. The central area of Sanlitun plays host to a multitude of international restaurants, from steak houses to sandwich shops, from Italian to Persian, Indian, and Arabic cuisine. Local publications such as BeijingKids magazine, Parents & Kids magazine, The Beijinger, and City Weekend have the latest reviews and recommendations for a wide variety of restaurants across the city. There are also a number of supermarket chains that specialize in imported western goods. Large WalMart and Carrefour outlets are dotted across the city and stock western groceries for your pantry. Smaller supermarkets such as Market Place (BHG) and Jenny Lou or Jenny Wang stores sell imported produce from all over the world. These stores also stock dietary specific products such as gluten free biscuits and so on. A number of supermarkets such as Carrefour stock organic meats, fruit and vegetables. However, many people find that the fresh fruit and vegetables found in smaller local shops to be less expensive and of a higher quality. Carrefour: various locations, with online delivery service. Ikea: East 4th Ring Road; second location in Daxing South Beijing. San Yuan Li Market: Produce market near San Yuan Qiao. A remarkable and colorful selection of fruits, vegetables, meat, seafood, spices, etc. Near the embassy district. Lo Hao City: Organic food market with various locations. Closest one to ISB is in Pinnacle Plaza. Organic meats and vegetables are also available from Mrs. Shanen’s, Carrefour, Ito Yokado supermarket and the supermarket in the basement of Shin Kong Plaza. What if you choose to live in Shunyi instead? So, you’ve decided the hustle and bustle of downtown isn’t for you and you’ve settled in the suburban serenity of Shunyi. Welcome to the neighborhood! Apart from its convenient proximity to ISB, this family-friendly district has a host of enticing places to eat, shop, and relax. For coffee or a bite to eat, Jamaica Blue is located opposite ISB’s west gate next to the Yosemite Club House. The cafe offers a full menu of Western breakfast and lunch options for both takeaway and dine-in. At the south gate of River Garden, you will find Le Spa, a full-service spa offering everything from facials, foot massages, and manicures to hairdressing services. The spa often has promotions and the staff at reception speak excellent English. Victor’s Restaurant offers authentic Thai and Indian cuisine across from Le Spa along Yuyang Lu. Further down the road, past The Swan with Two Necks pub and Jenny Wang’s supermarket, you’ll find Pinnacle Plaza. This is a great place for lunch or dinner with a wide variety of restaurants and bars. Thai, Japanese, Vietnamese, and many Western options such as Ernest (French cuisine), Subway, Avacado Tree (Mexican cuisine), Dunkin’ Donuts, and Starbucks can all be found here. Shine Hills is a relatively new shopping complex with many clothing stores including Uniqlo and Gap, excellent Western and Asian restaurants and bars, several gyms, and a giant cinema. Most places here have their own outdoor storefront, so you can wander around on a nice day or sit outside when dining. In summer, children can enjoy various outdoor activities and have fun at a water park. Adjusting to a new country can be challenging, but being a respectful guest is a useful rule of thumb that goes a long way anywhere -- especially in China. Do have a name card printed up, even if you are not working outside of the home, to have one to exchange on official occasions. It is also useful to show a taxi driver if you are in town and want to go home. Do use both hands to present and receive name cards to show respect. Do mention the family name first, then given name when using Chinese names. Remember most women keep their maiden surname rather than taking their husband’s surname. Children generally are given their father’s surname. Do shake hands with people when you first meet them. The Chinese are generally reserved in manner; courtesy rather than familiarity is preferred. Stick to handshakes and only give hugs if you know the person well. Do give and receive toasts at a meal – it is a common way to show courtesy and gratitude. Also offer a host/hostess a gift when visiting someone’s home or company. An item from your home country will be especially appreciated. Do use the number eight (8) at weddings and birth celebrations as it is considered a lucky number (it sounds like the Chinese word for “prosperity”). Do use the full title of our host country: “The People’s Republic of China.” This should be used in all formal communications. “China” can be used informally. Do dress conservatively. Revealing clothes should be avoided since they may cause offense. Adhering to the ISB dress code should avoid any awkwardness. Do ask your helpers how they would like you to refer to them. Some are happy with “ayi,” which means “aunty.” Others might prefer you to use their name. You can call your driver “shifu,” which means “master.” This is a respectful, versatile title that can also be used to address workmen. Children should refer to your domestic helper as “ayi” and your male driver as “shushu” (literally “uncle”). Don’t be offended if people stare; they merely do so to express open interest in seeing a “foreigner.” You may encounter this frank interest, especially when visiting remote provinces. Don’t stick your chopsticks straight up in your rice bowl (tell your kids to avoid this, too) when eating with Chinese friends or colleagues. This looks like someone offering incense to the dead. Also do not tap your rice bowl with your chopsticks, as beggars do this to attract attention. Don’t discuss politics or religion with new acquaintances. Avoid talking about Taiwan, Tibet, or Hong Kong as separate from China, as they are part of the People’s Republic of China. Don’t give clocks, knives, or pears as gifts to Chinese friends. When giving gifts, avoid clocks (meaning your time’s up, i.e. wishing someone were dead) or knives and pears (which in Chinese sounds like the word for “separate,” or ending a relationship). Tipping is not officially encouraged but accepted in the travel industry. China’s official language is Mandarin, or Putonghua (literally “common language”). Beijingers have a tendency to add an “er” sound at the ends of syllables. For example, “Sanlitun” becomes “Sanlitur.” Of course, there are hundreds of dialects and accents in China, many of which you will encounter in Beijing. Keep this in mind as you try to understand the language. For Chinese language lessons, it is worth exploring Mandarin Express or Bridge School. The Chinese Culture Center also offers well organized tours and lectures in English. Are you and your family moving or adjusting to Beijing?